In this article we will look into setting up very basic LAMP website. We will setup self signed ssl certificate and configure virtual host to run https. SSL is not bullet proof technology but it helps to make your website more secure by creating encrypted link between browser and web server. 1. First lets install LAMP. We will not get into too much details and explanation during LAMP setup and just show basic steps needed to set this up. 8. 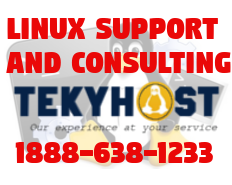 We will need to also create vhost configuration file. You will need to make sure your test site can be resolved via DNS. If not then you can setup hosts file for testing purposes. We used comodo in this example but any other public PKI will do. This is just for reference but location of certificates varies based on Linux distribution. Please see below for common directories.